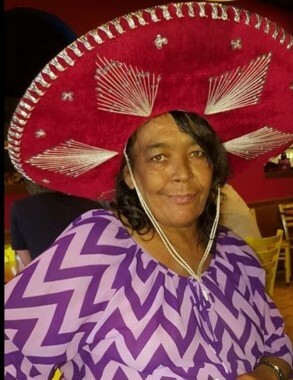 Ms. Peggy Ann Walker McLean, 62, of Lillington, NC, passed away on Friday, April 12, 2019, surrounded by her love ones. Friends are being received at the home of daughter: Lettie ( Michael) Jones, located at 309 E Washington Street, Lillington,. NC. Peggy is preceded in death by her parents, Pastor Lettie & Deacon Lawerence Walker and sister Polly Walker. She leaves to cherish her loving memories; husband, Joseph W. Mclean, of Lillington, NC; one son; Joseph L. Mclean, of Bunnlevel NC; two daughters: Lettie (Michael) Jones and Lashovan “ Nicole” Clegg, of Lillington, NC; thirteen grandchildren and five great grandchildren; three sisters LaVerene (Weldon ‘ Raymond”) Harper,of Fayetteville, NC; Lessie (Johnnie) Holliday, of Linden, NC and Margaret Walker, of Greensboro, NC; two brothers: Edward (Nancy) Walker, of Wadesboro, NC and Lonnie Walker, of Fayetteville, NC. and a host of nieces, nephews, relatives and many friends with two special ones friends :Jackie Elliott and Alice Walker and a cousin that she called her brother Robert Walker. Viewing for Peggy will be held on Saturday, April 20, 2019, from 11:00 a.m. to 11:45 a.m., Funeral Services following the viewing, beginning at 12:00 p.m.,(Noon), Walker Funeral Home Chapel, 163 Irene Roberts Rd, Lillington, NC 27546. There's still time to send flowers to the Viewing at the Walker Funeral Home and Cremation Chapel from 11:00 AM to 11:45 AM on April 20, 2019.